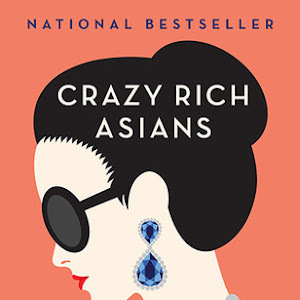 Which top three books are the best you've read so far this year? This is actually a hard question for me to answer, because I've really enjoyed a lot of the books I've read so far this year. It's been a good reading year for me, I must say, and that's always awesome. But I have narrowed it down to my top three books for the first half of the year - and they're all new releases! I have so much love for this novel, so much. I read it during my vacation, fell in love with it and now just want to hug and cuddle that book. Aside from the attractive cover, it's got such a good story! It's got romance, it's got family and best of all, it's got heart. Plus, I recently got the opportunity to meet and chat with Jennifer, and she's definitely cool! I'm pretty psyched about her next book too. I was a little nervous picking this one up, so I put off reading it till a month after its release date - and I regret doing that. 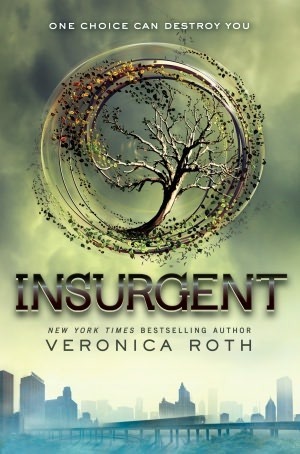 I really should have trusted my friend and fellow Four fan Lena -- Insurgent is an incredible second book in this series and definitely a must-read. 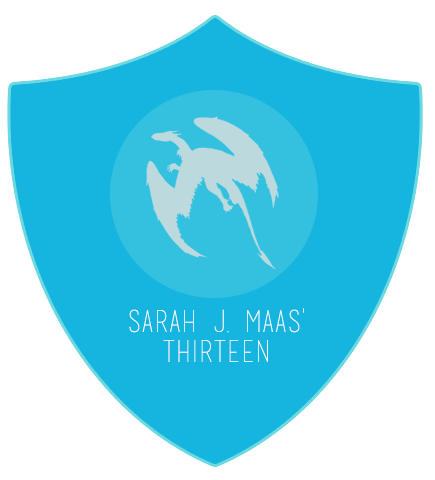 It was still filled with action and new revelations, plus with characters that I loved. And the romance in this book was so well-done. 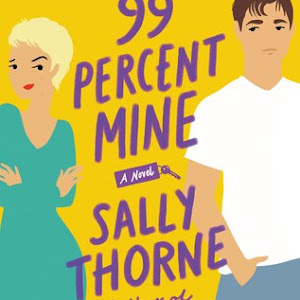 I loved this book to pieces. The two things that made this book so good? First, it was the romance - which was definitely swoony and heartfelt and sincere and just made me want to cry with emotion. Second, it's the amazing cast of characters, especially the Garretts, who were colorful and unique and just plain fun. I loved the writing and the story and I definitely think everyone should pick this one up! I've got Insurgent but I haven't read Divergent yet lol, really need to get cracking! Always happy to see love for Jennifer E. Smith. Good choices! Top 3 is a tall order! All three of these look great! 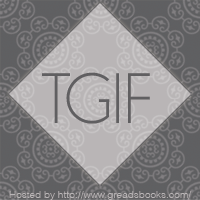 Insurgent & The Statistical Probability of Love at first sight have both been on my TBR list for a while. I hadn't heard of My Life Next Door before, but I've checked out both the summary and your review, and it'll definitely be getting added to my list! All great books, although I haven't read My Life Next Door, it's on my list because everyone seems to rave about it. I have Insurgent as my pick too! It was such an incredible sequel. The other two are on my TBR and hopefully I'll get to read vthem soon! Nice choices, I've read the first two but I REALLY want to read MYND - all I hear are good things! Even though these weren't my three picks they are all EXCELLENT books. 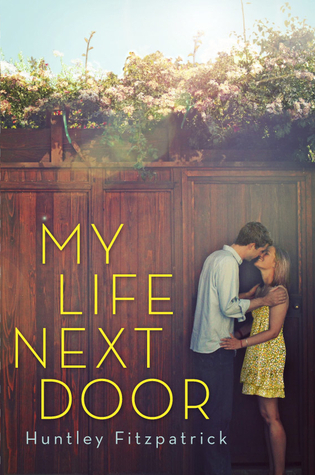 The romance in My Life Next Door was completely swoonworthy, more so than any other book I've read this year. And of course Four is just... sigh. I haven't read any of these yet - but Insurgent is one I want to read soon. I really want to read the love at first sight book. I bought Insurgent but have yet to read it. I gotta get to it soon. 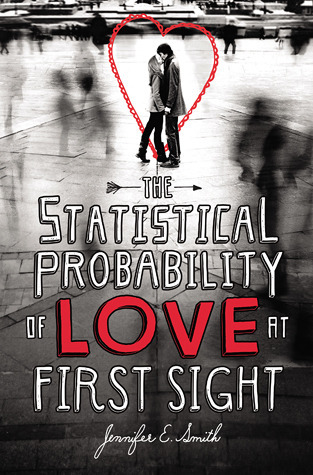 The Statistical Probability is SUCH an adorable novel! I get all warm 'n squishy thinking about Hadley and Oliver haha. And I can't wait to read My Life Next Door! I think I'm going to next week sometime, and I'm excited. I've reeaaaally got to get on this Divergent/Insurgent thing haha. 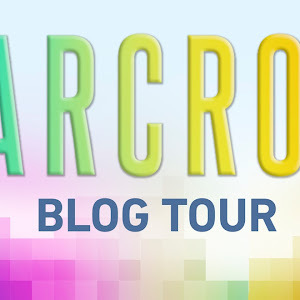 I might be meeting Veronica Roth in a couple weeks too! And yes, do get on the Divergent/Insurgent train! I fell in love with the series last year, and my love for it has only grown now. Veronica's so good at what she does! TSPOLAFS is amazing. It's a quick read, if you're wondering, but it's worth it, I promise! You're very welcome! My Life Next Door is amazing! I only finished it recently, but I can very definitely say it's one of my favorites. Yay for Insurgent! I was surprised by how much I liked this one, since I normally have issues with the second novel in a series... but I really loved it. It's a great book, isn't it? Plus, there's JASE haha. Four is an incredible character and it is so, so easy to fall in love with him, which I've proceeded to do, haha. And yes, the romance in My Life Next Door is amazing! Yes! Read MLND! It's really good, and then you'll get to meet Jase! It is an incredible sequel. One of the few times that I actually liked the sophomore book in a series! I hope we haven't set your expectations too high! But it is a great book and I'm definitely excited for you to read it. 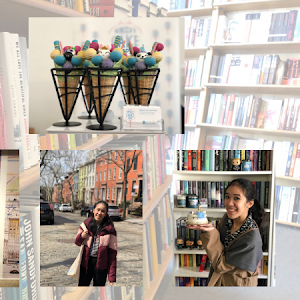 I hope you get around to reading all these great books! They're pretty amazing, and I would recommend them any day. And thank you for following me! Haha, I feel like your wallet just might hate me ;) But yes, go and read Divergent and see what you think! I know! After I posted this, I thought of a few more that I wanted to add. Haha, there's too many books I love! I'm so excited for you to start My Life Next Door! It's a great book! SIGH. Stat Prob (omg too lazy to type it all out) was so surprisingly wonderful. I don't mean surprising because I didn't think it would be good, but surprising because I wasn't expecting it to give me so many FEELINGS. I loved it!! As you know. My Life Next Door is the same. I know we are both big fans, since we both keep talking about it lol. And My Life Next Door. Oh, this book. It's probably going on to my favorites list for 2012. I LOVED IT. And Jase is SO AWESOME. I look forward to seeing your thoughts on Insurgent. There's been mixed reviews, but I honestly loved it just as much as Divergent and I'm DYING for the next book! I hope you get to read STAT soon! It's actually pretty quick to read, and plus, British boy alert! Awesome post. Agree with everything on here! Pushing the Limits (*if you havent read it*) is also A MUST.